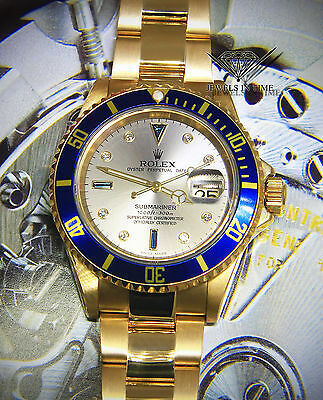 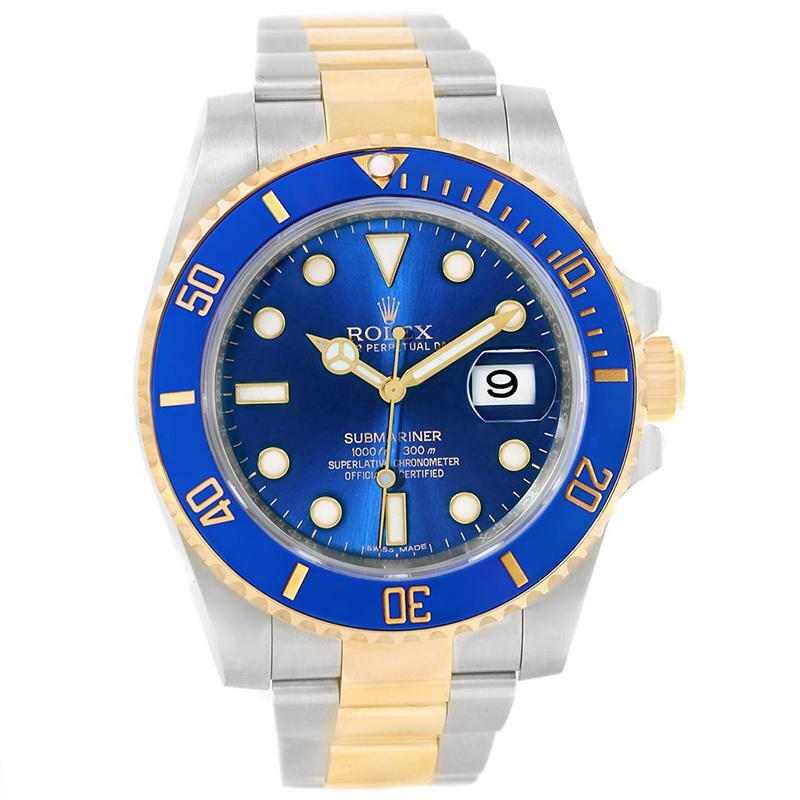 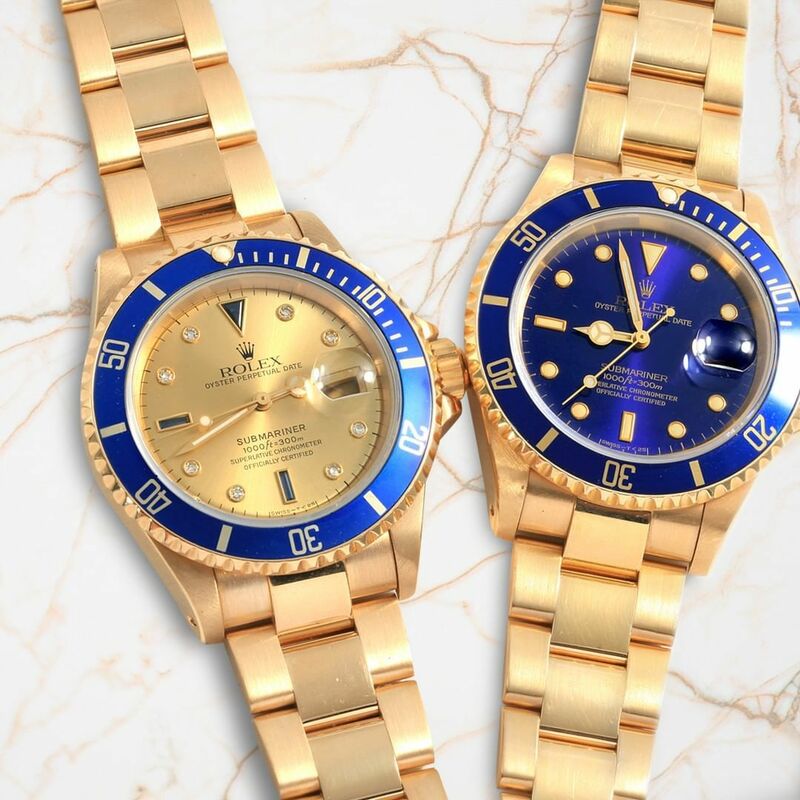 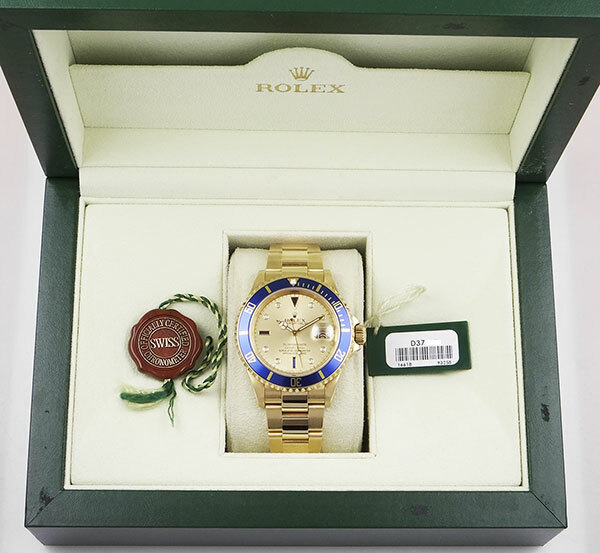 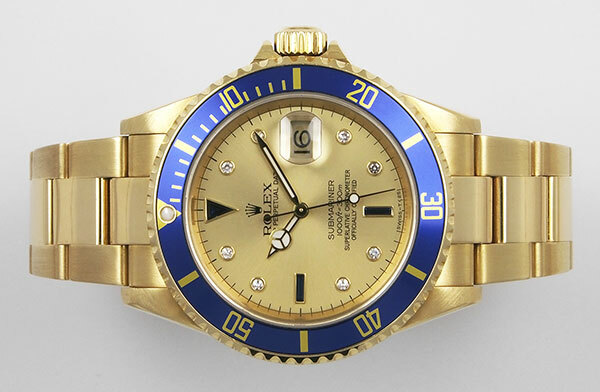 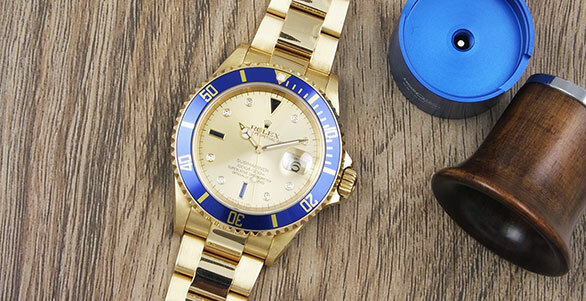 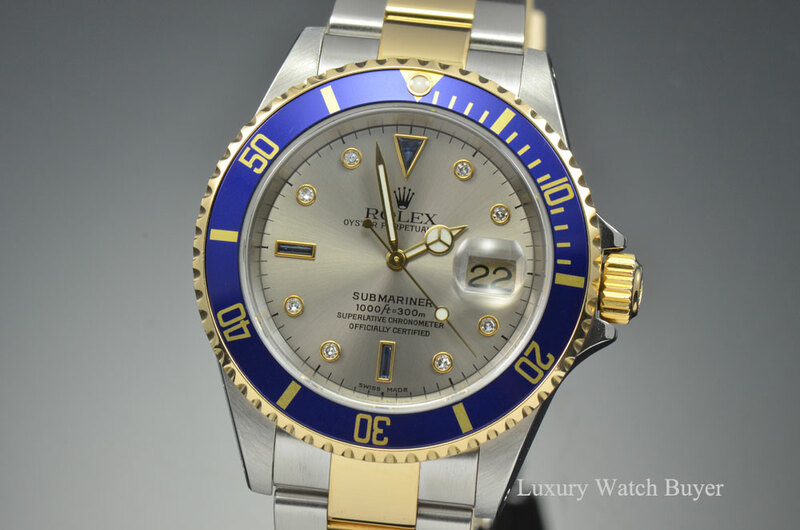 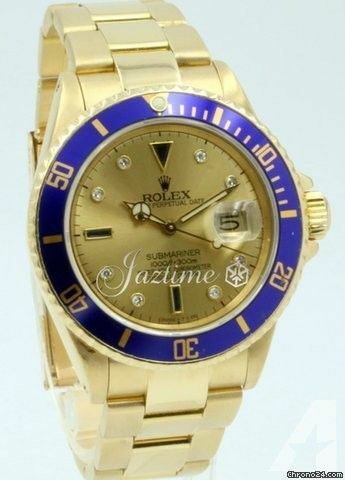 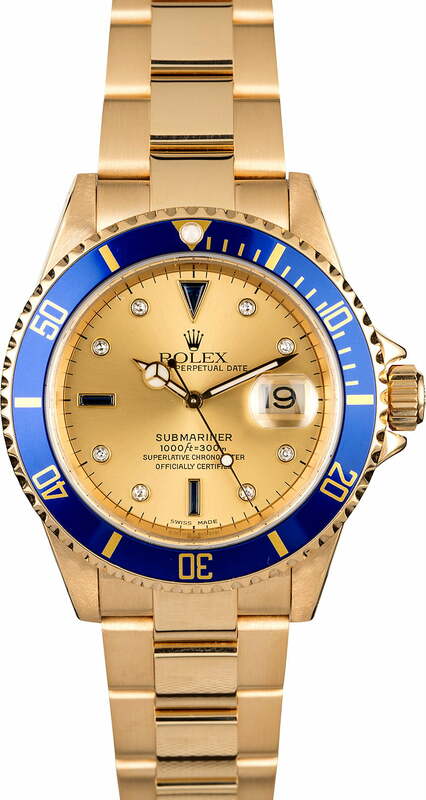 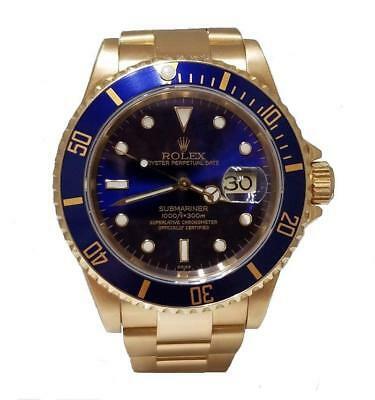 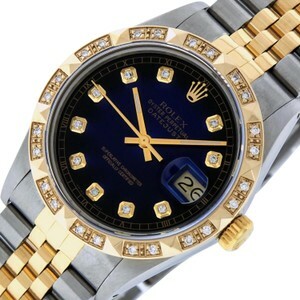 These 18k yellow gold and blue Rolex Submariners will make them do a double take. 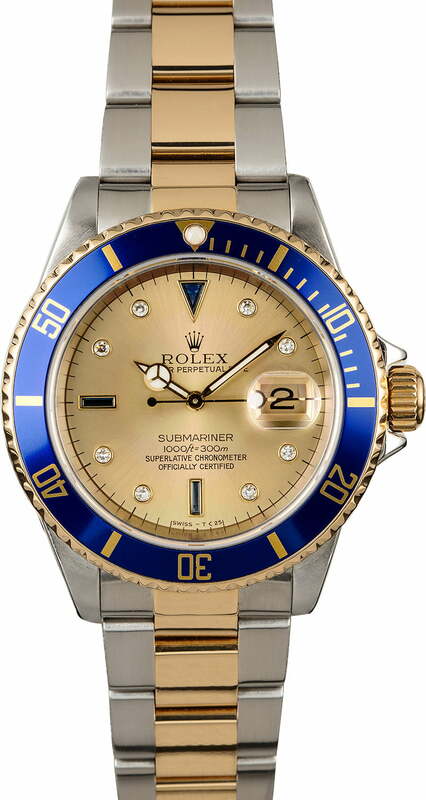 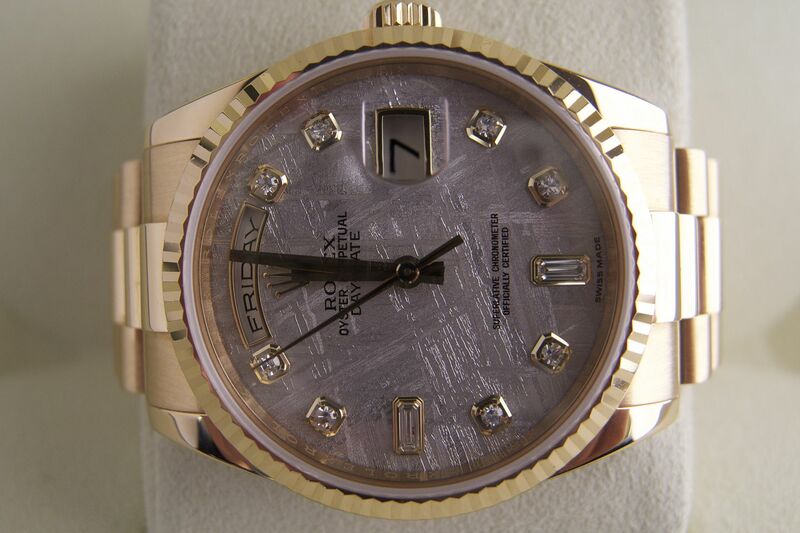 From left: ref 16618 with a champagne Serti dial, and with a blue dial. 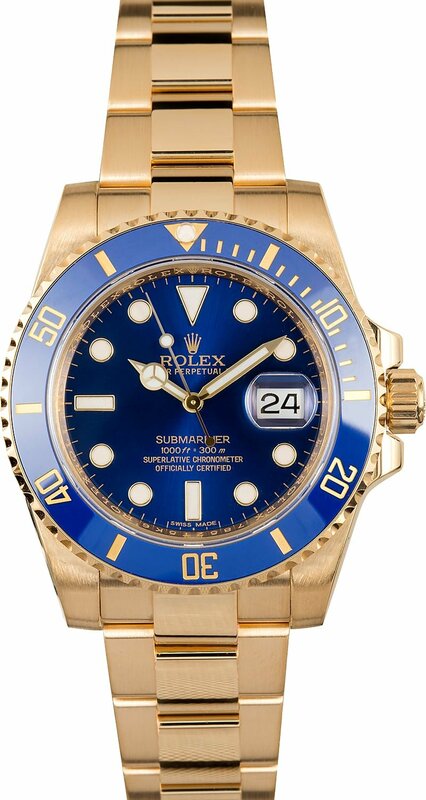 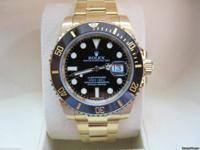 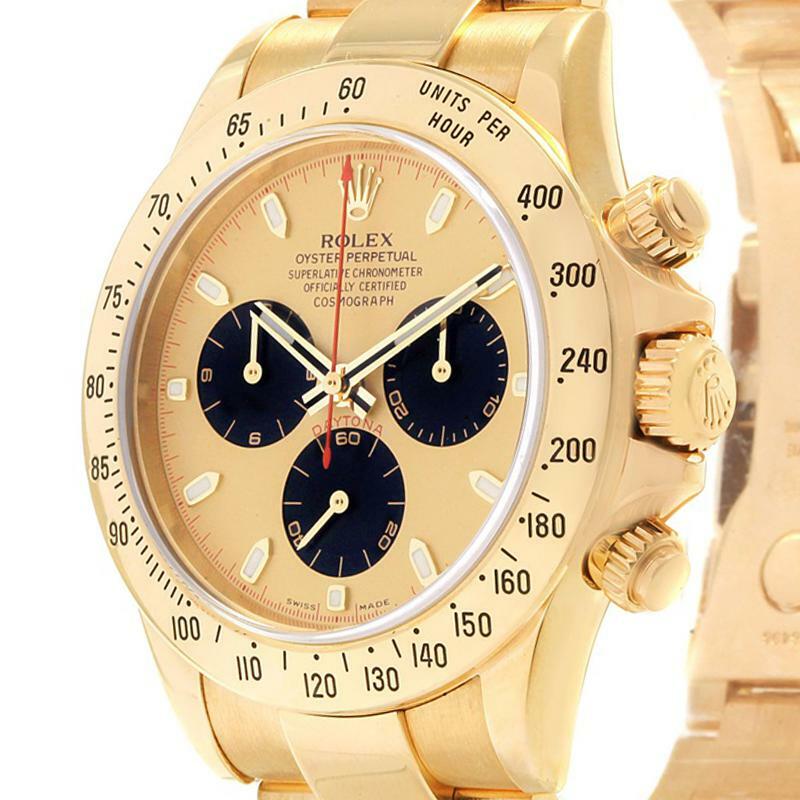 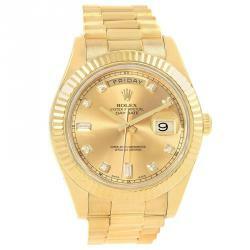 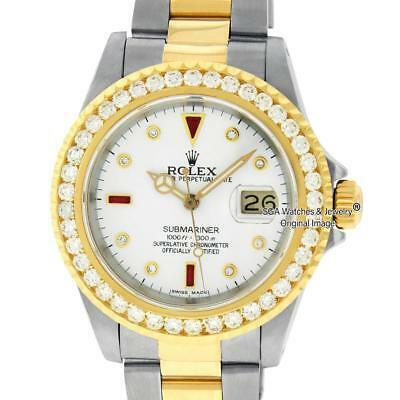 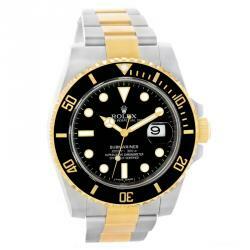 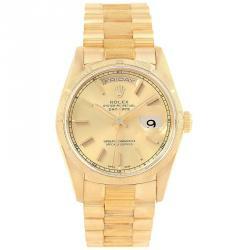 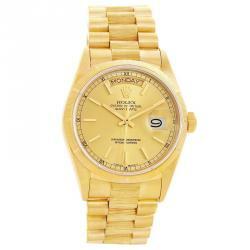 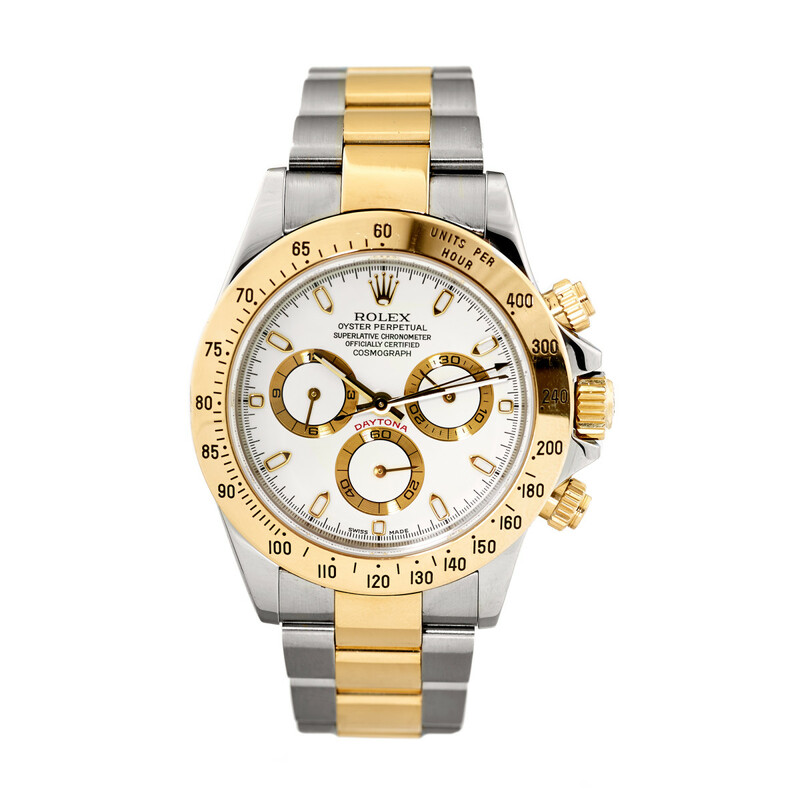 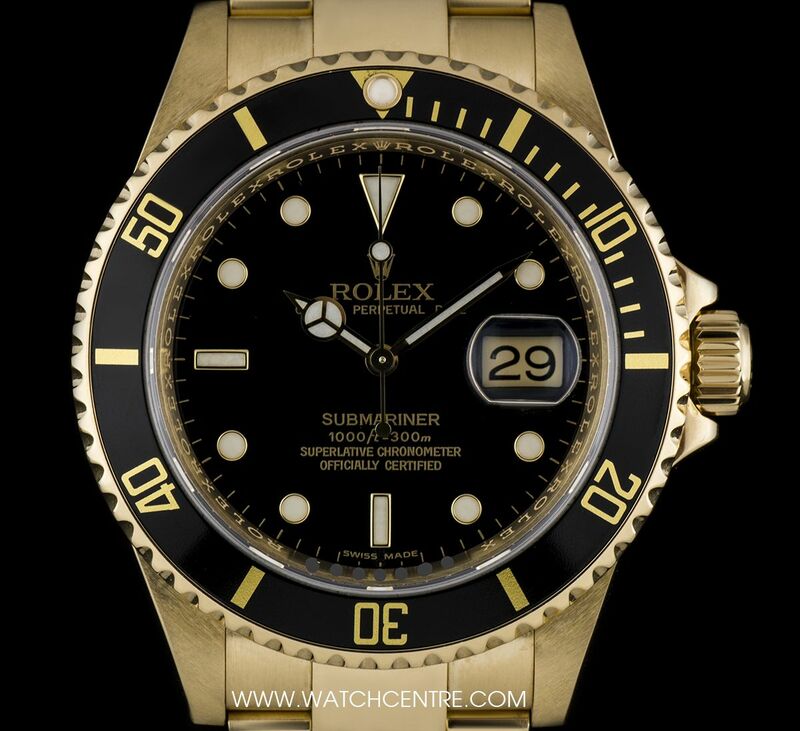 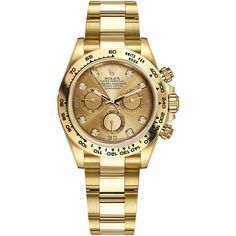 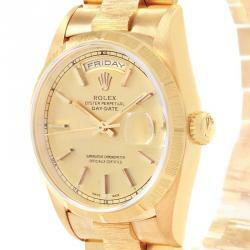 40mm Rolex 18K Yellow Gold Submariner 16618. 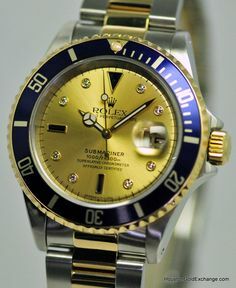 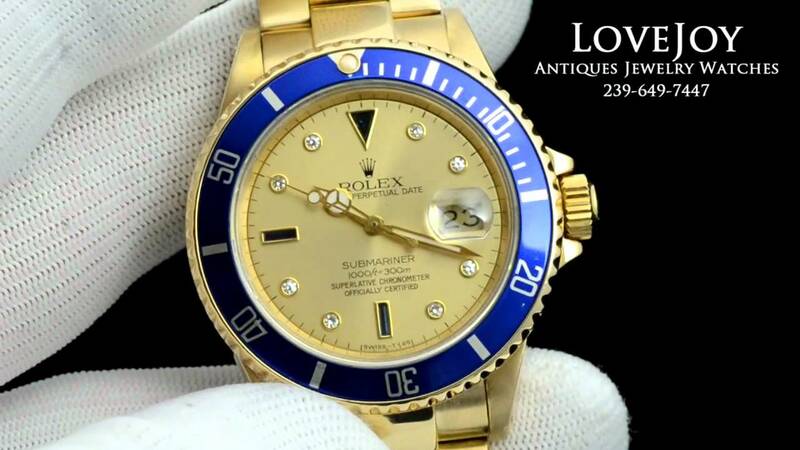 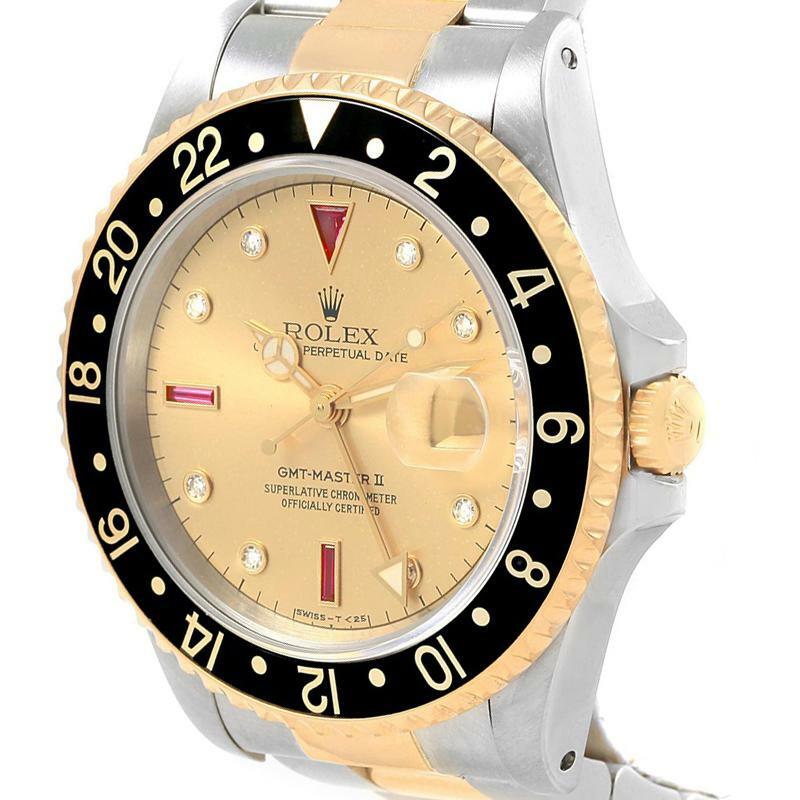 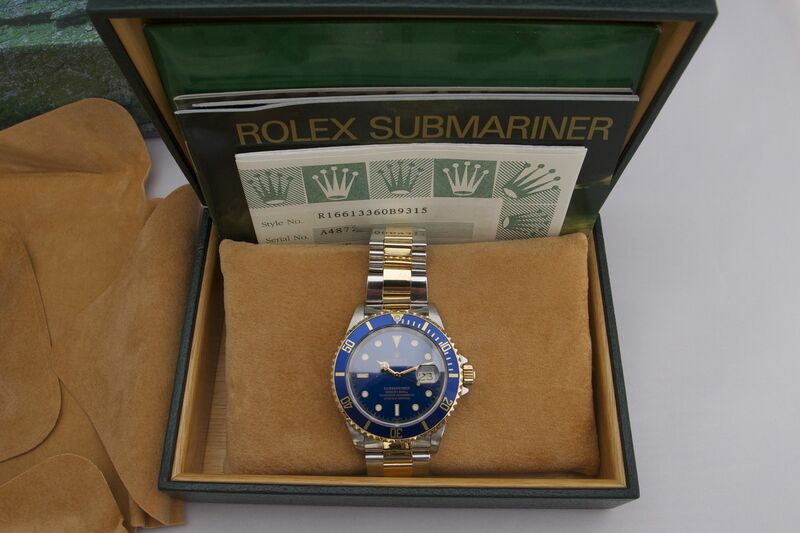 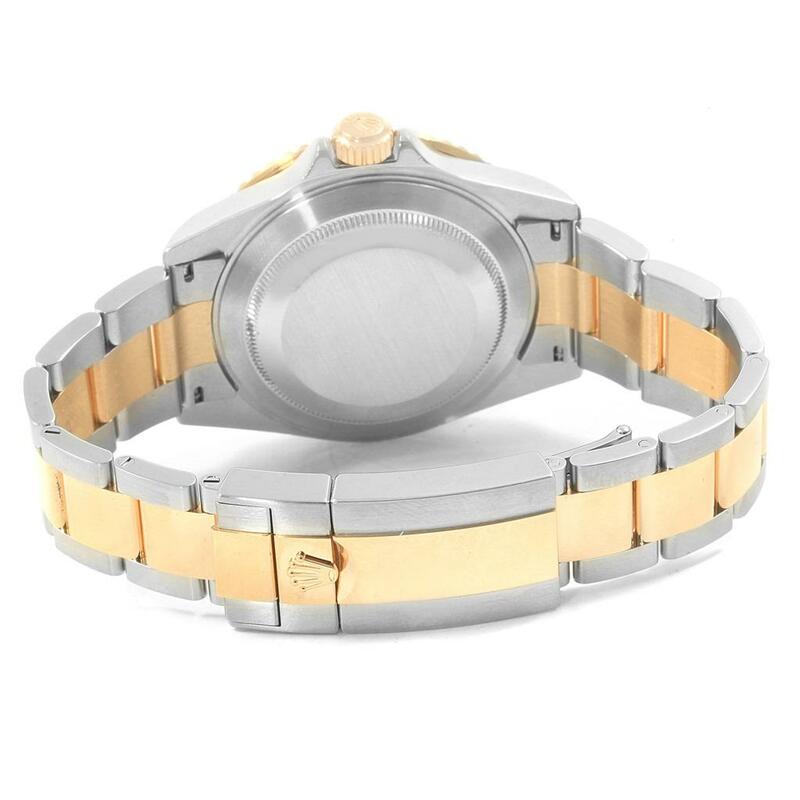 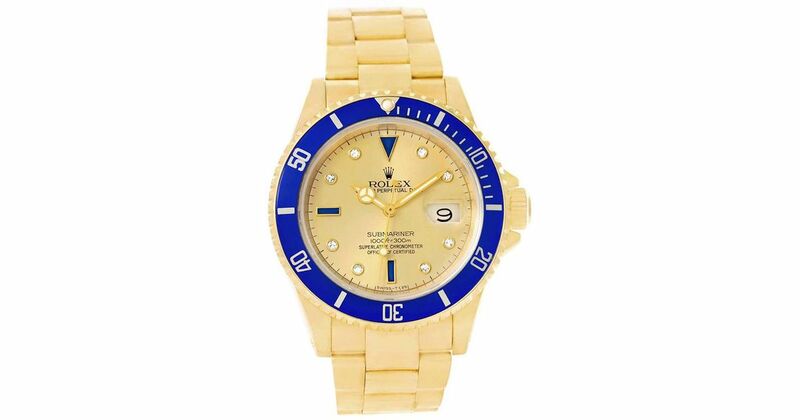 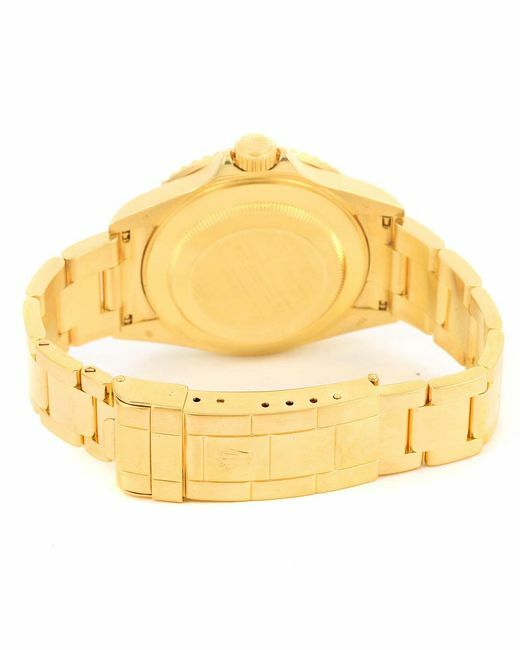 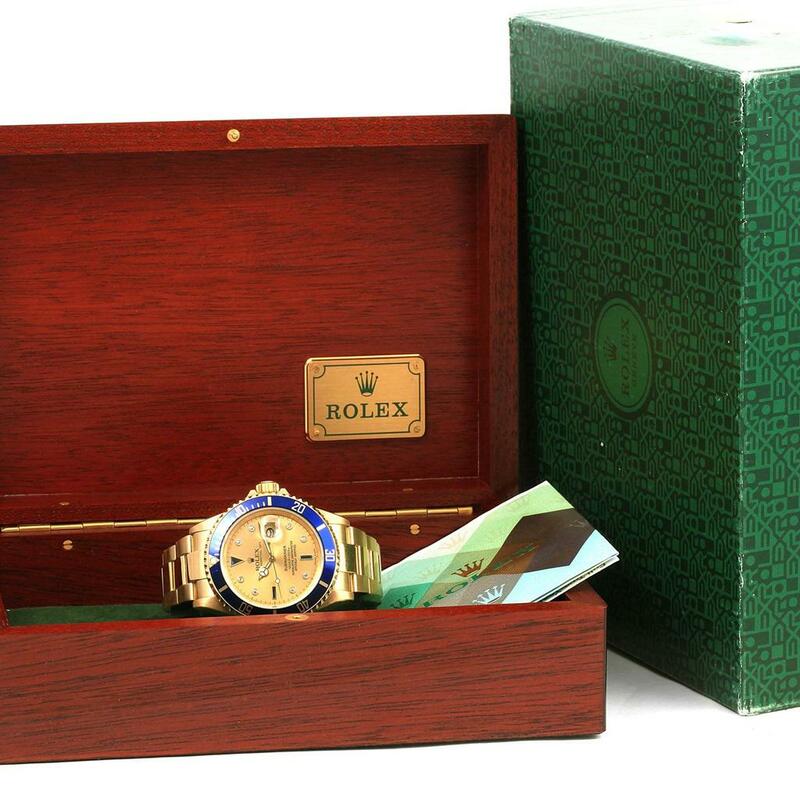 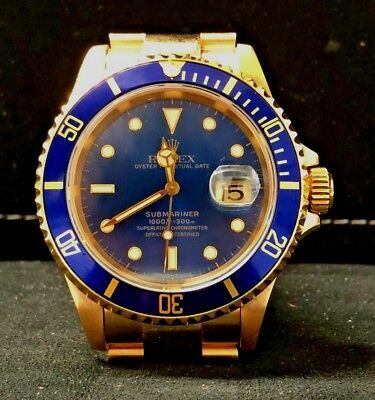 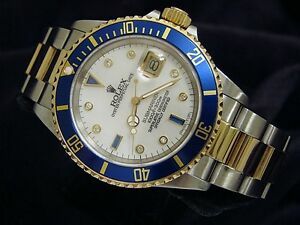 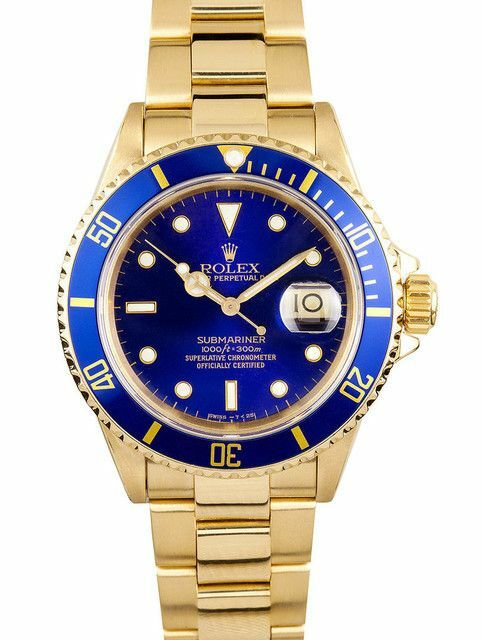 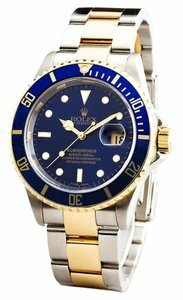 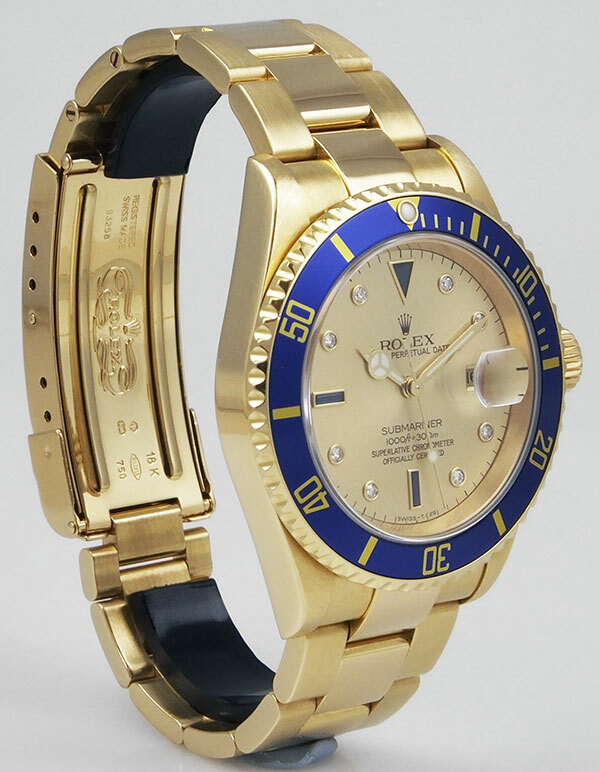 Rolex 18k Serti Dial Submariner "genuine"
Rolex Submariner Steel and 18K Yellow Gold Serti Diamond and Sapphire Dial Watch 16803 - VCGDCW. 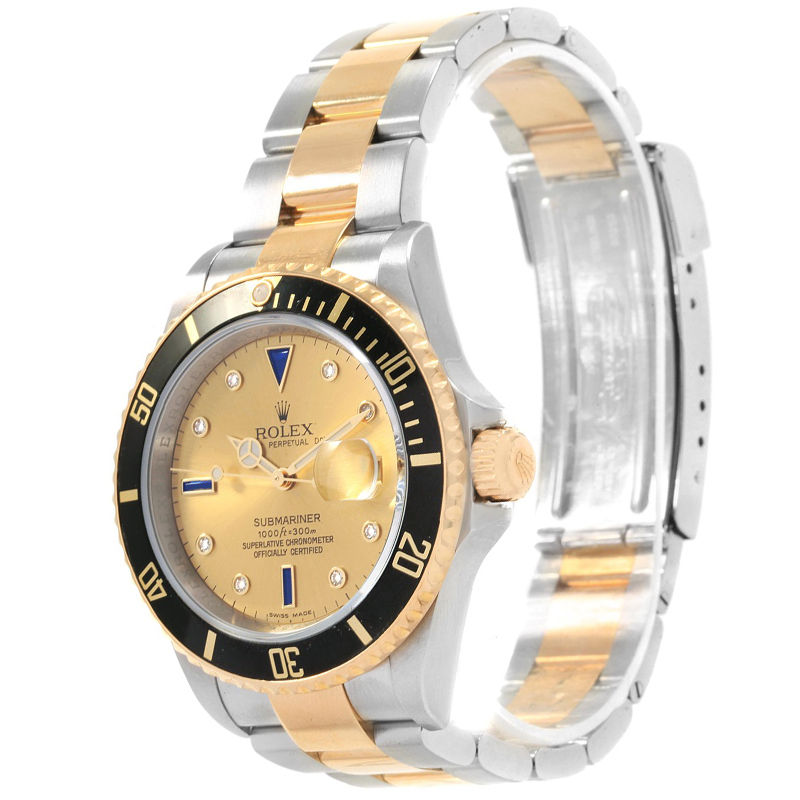 Its Oyster case, guaranteed waterproof to a depth of 100 metres (330 feet), is a paragon of robustness, proportion and elegance. 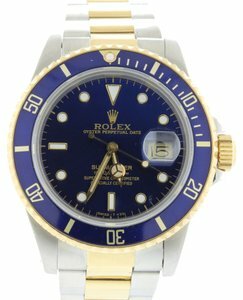 Rolex Submariner Date in 18K & Stainless Steel with factory champagne Serti dial with blue sapphires & diamond markers on an Oyster Bracelet.